Greenhouse Polycarbonate Panels - EcoFort Innovations Corp.
Polycarbonate materials are well know for high quality in greenhouse, sunroom and sunroof designs. This product is used in a number of commercial and residential projects, is cost effective and easy to work with. 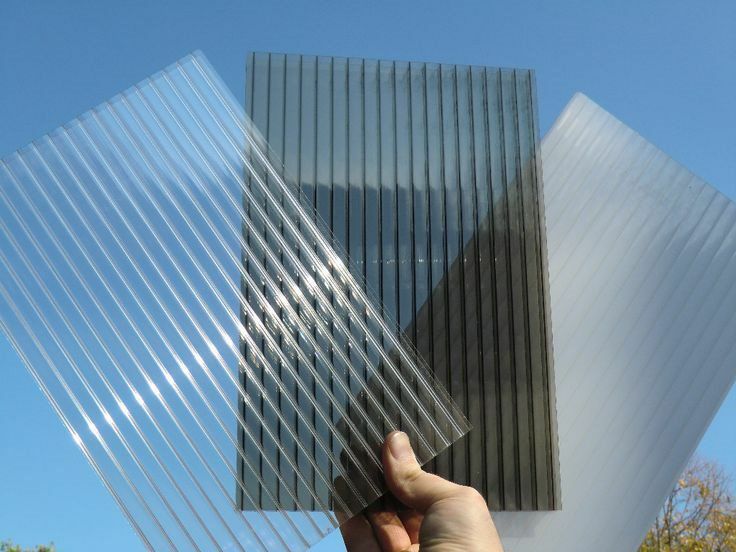 Different polycarbonate panels, that we supply, have UV coat and 10 years warranty.This panels are produces from the top branded polycarbonate granules ( Bayer and Sabic). Our supply list includes: Multi-wall (Twin, Triple, Six, X type and honeycomb) and solid Lexan polycarbonate panels which are taking an important role in the transparent building materials market.Polycarbonate panels are designed and perfect for applications requiring a material which offers: high light transmission, thermal insulation, lightness of weight with strength, high shock resistance, great economy and design flexibility. This products are popular for greenhouse coverings and sunroofs where good thermal insulation is necessary together with high light transmission.